Breaffy's Dylan Cannon with Diarmuid O'Connor of Ballintubber. ©INPHO/Tommy Grealy. 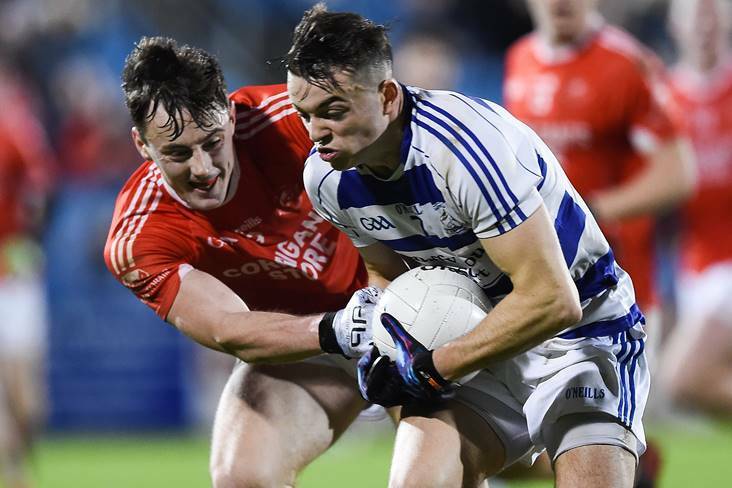 Ballintubber’s failure to win a Connacht club SFC title in the past is their driving force to do well this year, according to Diarmuid O’Connor. The newly crowned Mayo champions have not had much success in the provincial campaign, while they have looked on and saw Castlebar Mitchels, Ballina Stephenites and Crossmolina all lift the Connacht title. O’Connor told the Western People that the aim this year was to push on and do well as they start their campaign against Sligo champions Tourlestrane this weekend. O’Connor added that they are hoping to have an advantage over their opponents in that Ballintubber manager Kevin Johnson is a native of Sligo.